As lawmakers in Washington, D.C., struggle to find a compromise over raising the federal debt ceiling, concerns are brewing in Illinois about the state’s investments, credit rating and programs funded by federal dollars. In recent years, Illinois has struggled to keep its rating from dropping to “junk” status. After lawmakers approved an income tax increase in January, one agency improved the state’s fiscal outlook to “stable”, but two others gave the state a “negative” outlook for the future. “Illinois does not have any immediate plans to issue debt, and the current rates we have are fixed. However, if a compromise is unable to be met, the U.S. could lose its AAA rating for the first time in history. This would likely lead ratings agencies to downgrade every state, which would add hundreds of millions of dollars in interest costs to bonds sold in the future. In Illinois, that would mean money we desperately need to educate our students, ensure public safety and protect our seniors would now be used to pay interest costs,” Kelly Kraft, spokesperson for Gov. Pat Quinn’s budget office, said in a prepared statement. Experts predict a default could create serious economic upheaval nationwide, which could stall or even turn around any economic recovery made in the state. “All the gurus suggest — and it makes sense — that this is going to put a drag on the economy, this sort of delicate recovery that we’re in,” said Christopher Mooney, a political studies professor with the Institute of Government and Public Affairs at the University of Illinois. Such a decline could also be bad news to a state government, such as Illinois, struggling to find its way out of a record deficit. “You’ve got the two things that happen when the economy goes bad: Revenues go down and service costs go up,” Mooney said. Rutherford said he is working to ensure that the state’s investments are protected, but safety may come at the expense of potential interest that could be earned. Rutherford said the state earned about $5 million in interest in June. “Risk is not an option. I’m prepared to put the state portfolio that becomes liquid into zero interest accounts,” Rutherford said. He said the money would go into accounts where it would not earn interest but would be protected by the Federal Deposit Insurance Corporation. Quinn said he is confident that a solution will be reached. However, he is concerned about areas of government that rely heavily on federal support. “We have to worry about public safety first and foremost. … We have 11 nuclear power plants in Illinois — reactors — we have to have inspections of them by the federal government all the time for public safety. So that’s a concern. Our military — we want to make sure our soldiers are paid. They’re on the front line for our democracy in far away places. Here in Illinois, we have our National Guard that we have to deploy from time to time to deal with natural disasters,” Quinn said at a Chicago news conference. Kraft said the state is working on contingency plans. “We are working with agencies to evaluate the potential impacts in our state that could affect job creation, Medicaid and our infrastructure.” Illinois receives a high rate of matching funds for both the Medicaid program as well as capital construction projects. 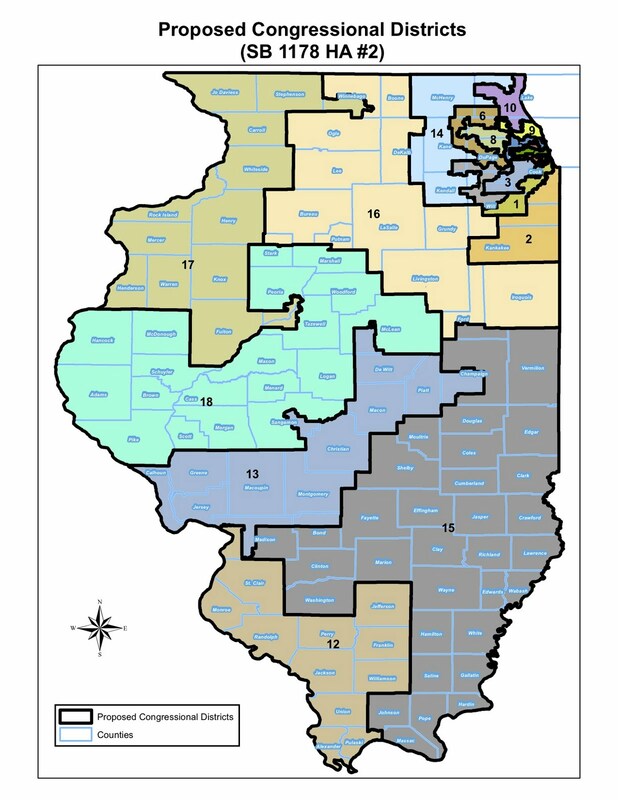 Republicans and a Republican-backed organization filed a lawsuit today claiming Illinois’ new congressional map violates the U.S. Constitution as well as the Federal Voting Rights Act. This new lawsuit means that both of the state’s Democratic-drawn maps will face a challenge in court. The suit alleges that the map dilutes the voting rights of the state’s growing Hispanic population. The lawsuit, which names 11 current Republican Illinois House members as plaintiffs, says the map “blatantly discriminates against Republican and Latino voters.” The complaint says the new map effectively reverses the results of the 2010 congressional election, which gave Republicans control of the state’s congressional delegation. Those opposed to the map say Democrats are seeking to achieve such political goals at the expense of Latino voters. “Despite explosive growth in the state's Hispanic population, the Democrats' map intentionally discriminates against Hispanic voters by providing for only one Hispanic-majority congressional district — the same number the state of Illinois has had since the 1992 election cycle — and further weakens their voting strength by apportioning the rest of the community's population among a number of other districts drawn to specifically protect non-Hispanic white Democratic incumbents,” said a prepared statement from The Committee for a Fair and Balanced Map, which includes Dennis Hastert, former Republican speaker of the U.S. House. The suit also alleges that Democrats used their control of the state legislature and governor’s office to draw irregularly shaped districts with an eye toward winning elections. “The map as a whole and several individual districts in particular represent a flexing of Democratic political muscle in Springfield aimed at creating a Democratic majority in the Illinois congressional delegation, regardless of the actual preferences of the electorate demonstrated only nine months ago,” the lawsuit says. 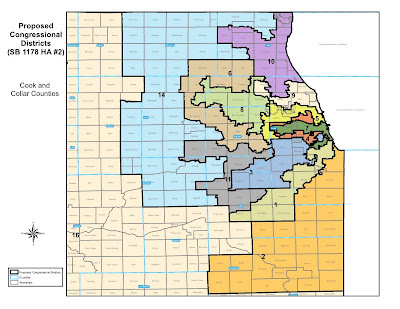 Illinois Senate President John Cullerton said that the districts are more compact than the previous map, which was drawn to protect incumbents. “If there’s any odd shaped districts, it’s because of the Voting Rights Act,” Cullerton said. “It’s politically fair, and you’ll see that bear out in the next 10 years.” Some experts agree with this take. “They did use the map to their advantage in some creative ways. But it’s actually less gerrymandered than the last one,” said Chris Mooney, a political studies professor with the Institute of Government and Public Affairs at the University of Illinois. While both lawsuits include individual Latino residents, no Latino advocacy group — many of which were vocal during the remap process — has yet signed on to either complaint. Gov. Pat Quinn wants the General Assembly back in session to address legal questions around a big economic driver for the state. Quinn said lawmakers should return on September 13 to address changes to work rules at McCormick Place, a convention facility in Chicago that draws almost 3 million people each year. A federal court ruled that some of the changes the legislature approved in May 2010 violate collective bargaining rights. Quinn said he wants to bring stakeholders to the table and sort out a compromise. He said two things he would like to see included in new legislation are strong auditing of costs charged by the facility as well as an “exhibitors’ bill of rights” to protect customers. The next step in the ongoing fight over pay raises between Quinn and the American Federation of State County and Municipal Employees (AFSCME) Council 31 comes tomorrow when both sides meet in circuit court to hash out a schedule for moving forward. AFSCME asked the circuit court to toss out the case because it filed a lawsuit in federal court, and a judge could consider the motion tomorrow. “AFSCME members do the real work of state government, such as caring for the disabled, preventing child abuse, guarding state prisons and much more,” Henry Bayer, executive director of AFSCME Council 31 said in a written statement. “These hard-working men and women deserve to know that their employer, the governor, will keep his word and honor his commitments under the law.” According to AFSCME, almost 30,000 employees are due a pay increase. Quinn says he cannot give state workers the scheduled pay increase, which would cost the sate approximately $75 million, because the state legislature did not include the money in its approved budget. “The legislators decided they did not want to fund pay raises for state employees in these agencies. They made that conscious decision. This is not a surprise. ... A number of the legislative members made it clear that they did not favor pay raises,” Quinn said. Union officials argue that state workers have already agreed to defer pay increases to help the state during its budget crisis, taken voluntary furlough days and sought other cost savings. Quinn said he signed a budget that he knew was “flawed” to keep Republicans out of the budgeting process. After May 31, a three-fifths majority would have been needed to pass the budget, and Republicans could have had more leverage to push for bigger cuts. “I did not want that crowd to have an opportunity to enact that kind of budget that would have been hurtful to our state,” he said. An arbitrator ruled that Quinn must honor the collective bargaining contract negotiated with the union, but a judge granted the state a stay until the matter can be sorted out it court. The Illinois Supreme Court on Monday unanimously upheld the constitutionality of a $31 million state construction bill that was to be funded through taxes and the legalization of video poker. An appellate court in January validated a circuit court decision in favor of Blackhawks owner Rocky Wirtz. He had claimed that the legislature’s backing of a multi-faceted plan to fund construction of roads, schools and transit systems violated state Constitution’s limit of legislation to a single subject. The construction legislation, approved in 2009, funds the package with increases in taxes on liquor, soft drinks and beauty products, as well as the legalization of video poker. Gov. Pat Quinn touted the program as Illinois Jobs Now! Supreme Court justices wrote: “The appellate court held that the single subject of Public Act 96–34 was revenue, based on its official title, 'An Act concerning revenue.' However, defendants assert before this court that the single subject of Public Act 96–34 is capital projects. Defendants are not limited solely to the contents of the title of an act in offering a single subject rationale. ... Moreover, capital projects is a legitimate single subject, one which is not “so broad that the rule is evaded as ‘a meaningful constitutional check on the legislature’s actions." General Assembly can accomplish when politics is set aside and people participate." After Democratic and Republican leaders in the House aligned early on, the budgeting process for the new fiscal year that begins today became a chamber-versus-chamber showdown that was less about party allegiance and more about spending. House Speaker Michael Madigan and House Minority Leader Tom Cross came together in March to offer testimony on a fairly simple budget plan. First, pay all the bills the state has to pay, such as the annual payment to the employee pensions system. Then, dole out the rest of the money for operations and hope that basing the plan on a conservative revenue estimate will mean that there is some extra cash on hand to pay down the state’s billions of dollars in overdue bills to schools, vendors and service providers. The House’s projection for how much the state could spend this fiscal year undercut the legislature’s own bipartisan Commission on Government Forecasting and Accountability’s numbers and was about $1 billion less than the Senate’s projection. “This setting up of really very different spending plans and revenue estimates was essentially House versus Senate,” said Kent Redfield, an emeritus political science professor at the University of Illinois Springfield. Madigan fired the first shot in the battle of the chambers the day he and Cross publicly joined forces, saying that if Senate Democrats wanted to spend more, House Democrats and Republicans from both chambers could prevail on lower spending numbers by holding the majority in a conference committee. “My expectation in this scenario would be that the House members would vote for the number that [was] approved by the House. And the Senate, I think that the people that would raise the [revenue] numbers would be the Democrats. … They ought to be outvoted,” he said. In response, President John Cullerton said the two chambers could work out their differences, and a conference committee would not be needed. The House then set to work. Budgeting committees that plan for different areas of state government, such as education and human services, were given dollar limits and asked to make spending plans. Meanwhile, the Senate worked in its traditional fashion with only two budgeting committees tackling seemingly endless hours of testimony from agency heads, associations, interest groups and experts. The days when the majority of the budget was hammered out during long closed-door meetings among the legislative leaders and the governor seemed all but gone. “It was much more a legislative-driven than executive-driven budget. That’s unusual for Illinois. 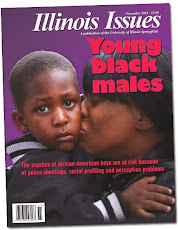 That’s very unusual for Illinois,” Redfield said. The two chambers ended up approving plans that were about $1 billion apart. The Senate plan called for about $63 million more spending on education, $885 million more on human services and $21 million more on public safety, along with more spending on economic development and other government services. Cullerton and Madigan continued to play nice in the press. “We’re not sending any ultimatums by the adoption of this budget today. We recognize it’s a two-chamber legislature,” Madigan said when the House approved its plan. However, in the end the House plan prevailed. Senate Democrats tried to tack on a measly — when compared with the $33.2 billion overall spending plan — $430 million in additional spending for education and human services and were shot down when Quinn, Senate Republicans and the House all roundly rejected the move. “One chamber ended up, because of [Democratic] alliances with Republicans, dominating the other,” Redfield said. Cullerton warned that he believes the House plan is not sustainable. “There’s a number of problems with the House budget that the House is aware of, that we’re aware of, where there are under-appropriations of things that need to be appropriated,” Cullerton said. He said because cuts were made but other necessary changes were not — such as a change to Medicaid reimbursement rates and the school funding formula —some funding will be used up before the end of the fiscal year. “What will happen is, they’ll get paid the same amount of money that they would normally get paid because the formula didn’t get changed. And then sometime late in the fiscal year … they would then run out of money,” Cullerton said. Cullerton predicted that the legislature will approve more spending in January, and other Statehouse observes agree that such a move is likely. So why the showdown? Redfield thinks it is because Democratic leaders from both chambers had different goals for the budgeting process. Since the budget has typically been driven by legislative leadership and governors in the past, the abrupt departure of former Gov. Rod Blagojevich — not to mention his refusal to work well with others before he left — forced a change. “Blagojevich kind of blew that up, but there was nothing to replace it,” Redfield said.